On a rarement vu un tel dynamisme que celui qui anime la scène gastronomique allemande. Et ce, pour le plus grand plaisir de tous ! 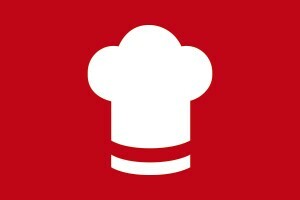 Depuis quelques années, de plus en plus de « jeunes pousses » viennent grossir les rangs des grands chefs et exercent leur influence. Entre brillantes réinterprétations de classiques régionaux et créations originales avec une signature internationale : aujourd'hui, plus de 300 restaurants allemands proposent une gastronomie de niveau étoilé. Découvrez-les sans tarder ! A sophisticated setting, an exclusive atmosphere and outstanding cuisine – perfectly integrated in an internationally renowned theme park: the Ammolite – The Lighthouse Restaurant in Europa-Park in Rust has lost no time in proving its gastronomic credentials. Head Chef Peter Hagen-Wiest, restaurant manager and sommelier Marco Gerlach and their team offer a memorable dining experience in the impressive setting of a lighthouse tower. It's not just the vehicles that are the star attraction in the Autostadt in Wolfsburg. 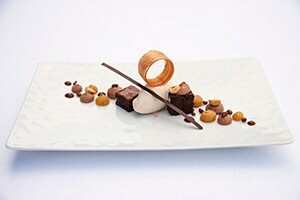 With a three Michelin-starred restaurant, the centre also boasts one of the best dining venues in Germany. 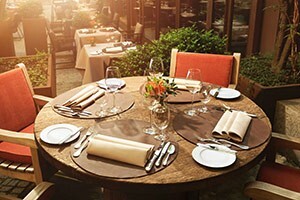 With its harmonious marriage of flavour and design, the Aqua provides the ideal setting for the finest gourmet cuisine. French interior designer Andrée Putman's stylish decor with metallic curtains and illuminated glass objects reflects the creative flair of the cuisine. Just a few metres from Munich's emblematic Frauenkirche Cathedral, the traditional five-star Hotel Bayerischer Hof has been accommodating the most discerning guests since 1841. 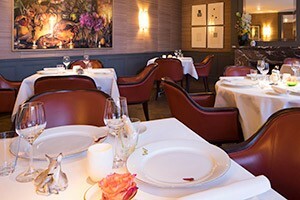 Although a more recent arrival, the Atelier restaurant has very quickly built up its own reputation as a modern gourmet temple. The lovingly decorated interior brings to mind images of an art studio with a very personal atmosphere. 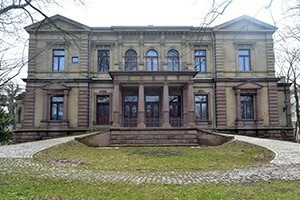 The move to the old Haag-Villa in Augsburg is a dream come true for Head Chef Christian Grünwald: with its extensive gardens, stuccoed and wooden coffered ceilings, terrazzo and parquet floors, the Villa is the perfect showcase for the Head Chef's culinary works of art. The guest list is exclusive. The three dining areas, designed by set decorator Philipp Fürhofer under the chef's instructions, can accommodate no more than twelve diners. Hotel Bareiss in Baiersbronn in the Black Forest is the perfect holiday destination in every season with fun and games for the children and relaxing activities for the adults, including wellness, shopping, hiking and fine dining. In the Bareiss gourmet restaurant, Claus-Peter Lumpp and his team compose exquisite dishes – immaculately executed and bursting with almost opulent flavour, ideally combining elegant presentation and digestibility. 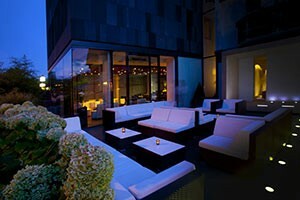 Becker's Hotel in Trier is distinguished by its elegant atmosphere and exceptional structure. Together with his family, Wolfgang Becker has converted his parent's vineyard and guesthouse into an outstanding design hotel. Becker’s Hotel is now a member of the famous "Design Hotels" portfolio and its clear lines continue in the gourmet restaurant in the same building. 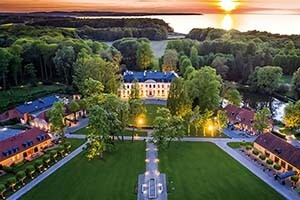 Overlooking the deep blue Baltic Sea, standing proudly amid lush green lawns: Courtier in the historic Weissenhaus manor is a gourmet restaurant that boasts culinary delights in an impressive, spellbinding setting. The luxury beach resort promises ultra-elegant flair. The restaurant in the hall of paintings, which features original stucco work and crystal chandeliers, seats 30 diners. 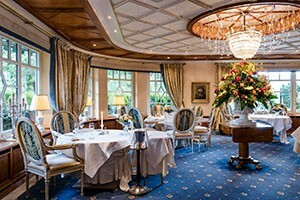 Situated in Munich city centre, Restaurant Dallmayr has applied its artisanal philosophy across the board: with custom-made craft furniture, Nymphenburg hand-painted porcelain-covered tables and wine served in mouth-blown glasses produced by crystal manufacturer Theresienthal. An engraving on the base of each glass shows the origin of the different wines. "Andree Köthe, Gewürzküche" (herb and spice-based cuisine) states an unassuming sign outside the small Essigbrätlein restaurant in Nuremberg's old town. With its crown glass windows, the narrow building conjures up images of a gingerbread house and fits perfectly with its surroundings in the half-timbered romantic old town of the Franconian metropolis. Diners need to announce their presence by ringing a bell pull – and reserve a table in advance as, with just 20 covers, demand runs high. 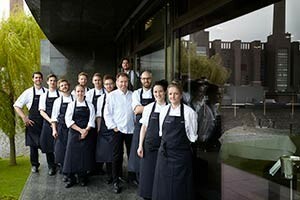 Since Bobby Bräuer's return to his native city in 2013, visitors to BMW Welt in Munich have been able to combine the pleasure of fine vehicles with the delights of fine dining. 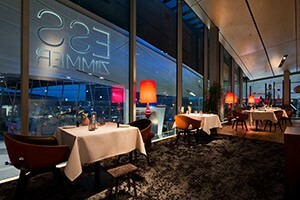 Restaurant EssZimmer on the third floor has become the gastronomic highlight of BMW Welt.